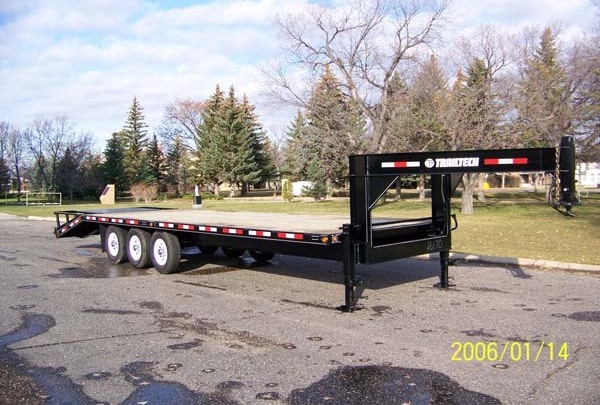 Gooseneck Hitch Flatdeck Trailer Commercial Series Commercial Series « Trailtech Inc. 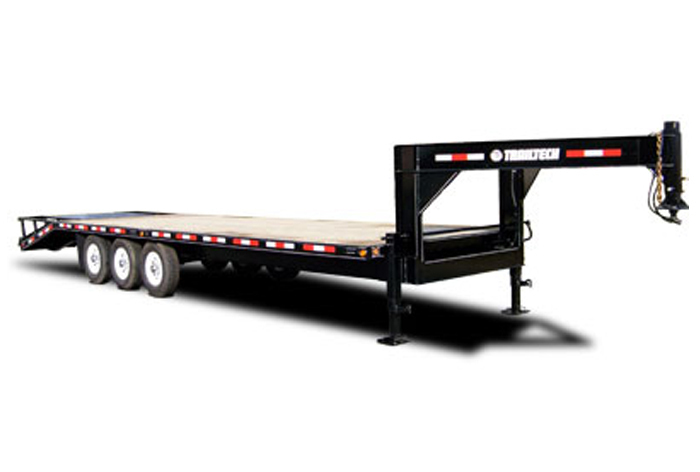 The Trailtech Commercial series trailers deliver durability, reliability and serviceability in each model. For general farm, hotshot or long haul trucking, the Commercial series trailers are available in a range of models to match your range of loads. 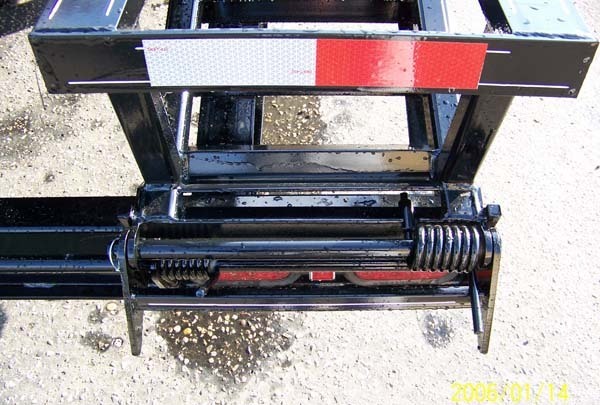 The gooseneck hitch makes for smooth, easy pulling either across the field or down the highway.Pintle hitches are also available, allowing you to match the trailer to any tow vehicle. 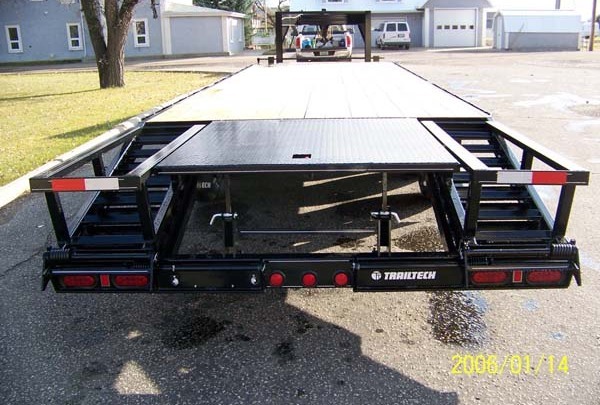 The Commercial series trailer, like all Trailtech trailers, uses electrical and brake wiring which runs through a shielded main cable secured to the trailer by rubber insulated loom clamps. 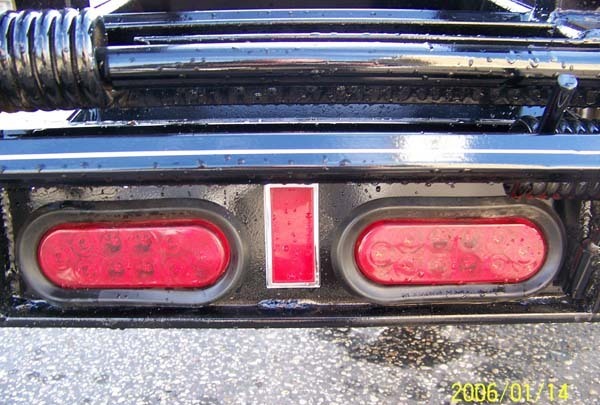 The cable is further protected by rubber grommets when passing through any holes in the framing, providing extensive protection to the trailer's wiring system. 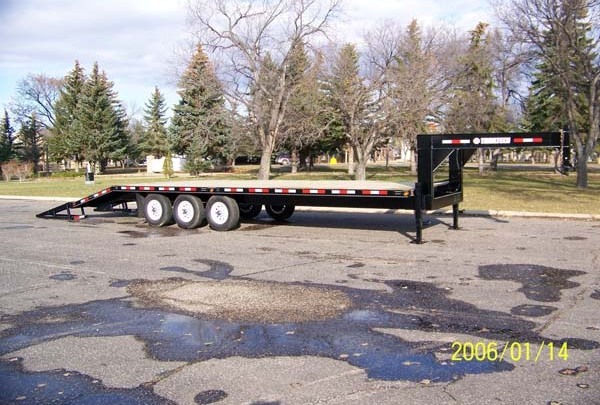 These highboy trailers are constructed with a heavyduty I-beam main frame and complemented with standard Trailtech conveniences, such as stake pockets with rub rail for added protection and security of your load. 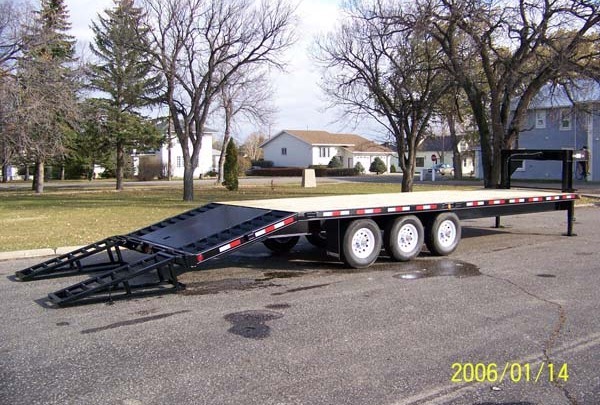 Overall Width 102" 102" 102" 102"
Deck Height 38" 38" 38" 38"
Gooseneck Coupler --- 2 5/16" 2 5/16" 2 5/16"
All models come standard with: LED Lights, 12,000 lb Side crank jack, Wood deck, Rub rail c/w stake pockets, White spoke rims w/chrome centers. 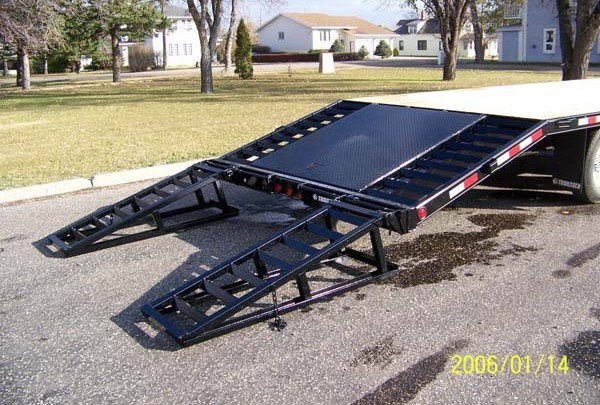 The 5’ beavertail creates an ideal loading incline combined with the ease of spring assisted ramps. 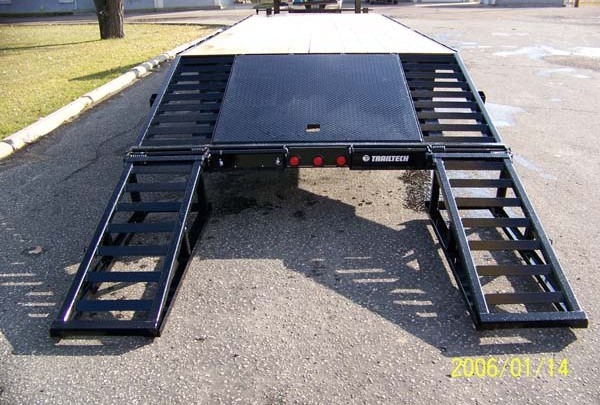 Gooseneck step and grab handles make it easier and safer to get up on to the trailer deck. The open cleated beavertail eliminates the slippage common on wooden beavertails. It is now easier than ever to extend the length of your deck with the double pivot spring assisted TECH ramps. 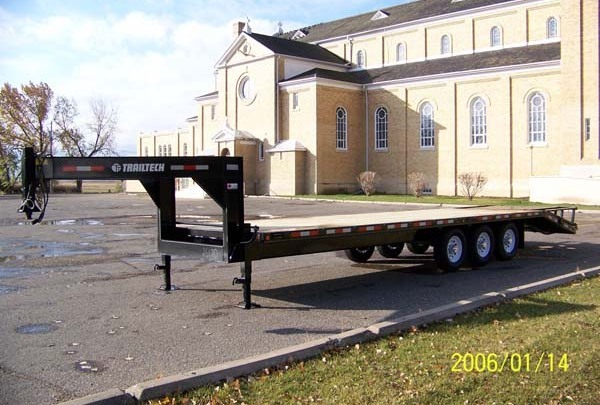 Models are available with either pintle or gooseneck hitches allowing you to match any tow vehicle requirements.